No farmer wants too much water on their farm land. Except for the Purdy family. In fact, 200 acres of their farm land is on the bottom of the ocean. 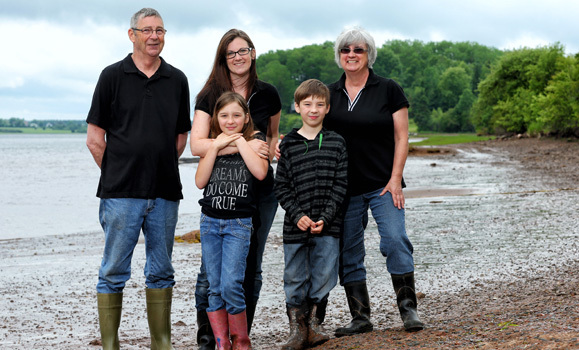 Charles (Class of ‘71) and Nancy Purdy, with the help of their daughter Rachel, own and operate Bay Enterprises, an oyster farm in Malagash, NS. Charles took over management of the farm from his grandfather in 1962, and in 1996 restarted the oyster farming that the Purdy ancestors had been involved in since 1868.The Purdy family's agricultural farm started in 1783 with both land and sea farming. They currently only farm the sea but still own much of the land. 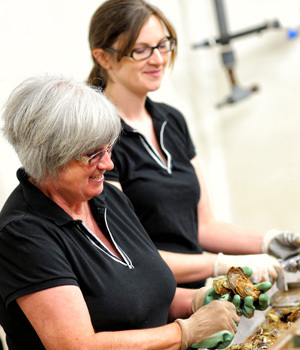 A hatchery and inspected packaging facility, Bay Enterprises oversees the entire life cycle of their oysters. 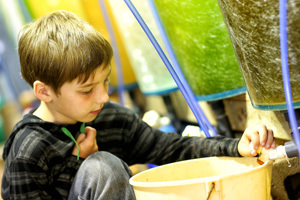 The oysters begin as larvae, living in water tanks and fed algae by Charles and his family. 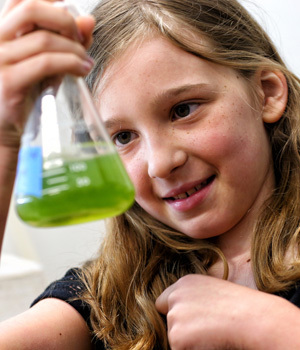 The Purdy family produces their own algae to feed their oysters and once they are mature enough, they are placed in the bay. There they feed off of the ocean for about 4-5 years until they are big enough to harvest. 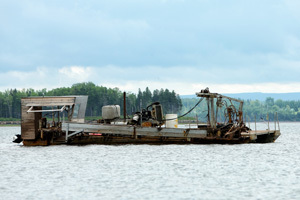 The oysters are harvested using both manual and mechanical methods. The mechanized machine used to harvest the oysters is environmentally friendly; something that’s very important to the Purdy family. Charles explains that oysters are harvested from the bay almost every day. For Charles, one of the hardest parts of oyster farming has been dealing with Mother Nature. He explains that he has had some regulatory issues in the past, but the only setbacks he has encountered have been from dramatic weather. Oysters are in high demand, so a high mortality rate is never good. In many parts of the world, oysters are considered a delicacy. There’s nothing else Charles Purdy would rather be doing then working on his farm. He gives a great deal of credit to the Dalhousie Agricultural Campus (formerly Nova Scotia Agricultural College) for helping him keep his family farming operation alive for so many years. 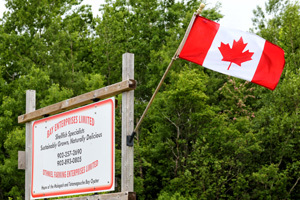 Bay Enterprises is a family oriented operation, something that Charles truly values. The Purdy farm has been in Charles’ family for three generations and will move into the fourth generation. His daughter, Rachel, is preparing to take over the farm in the near future. Charles, Nancy and Rachel aren’t the only ones who work on the farm though. Rachel’s children, Charles and Nancy’s grandchildren, also spend a great deal of time on the farm helping out. Sumara, 11, and Kaden, 8, established a keen eye for choice oysters at a very young age. The kids usually help feed the larvae and sort and pack the oysters to be shipped out. For Charles, family farming is the most efficient farming model. Charles Purdy holds a great deal of pride for their operation.